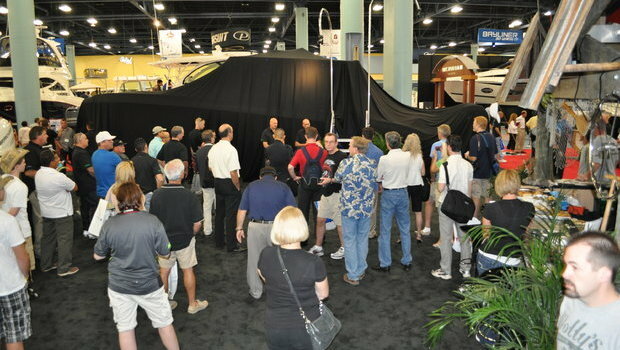 Miami, FL - February 16: Before a packed crowd of marine industry writers, photographers, and media representatives at Statement Marine's Miami International Boat Show press conference, Statement co-owners and co-founders Todd Werner and Nick Buis pulled the veil from the entirely new 368 SUV Crossover. 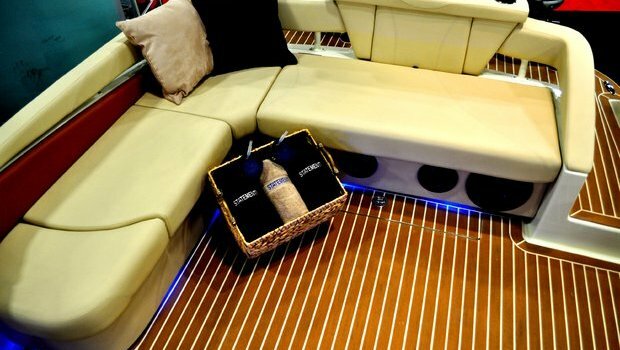 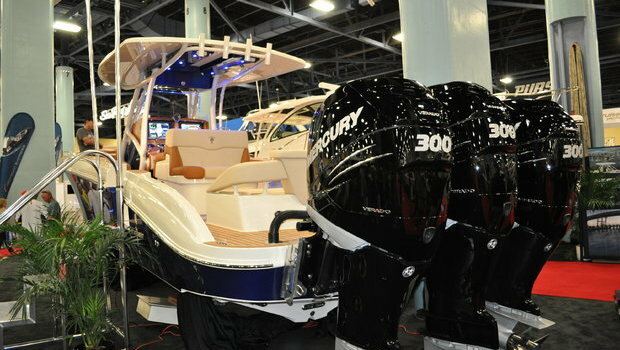 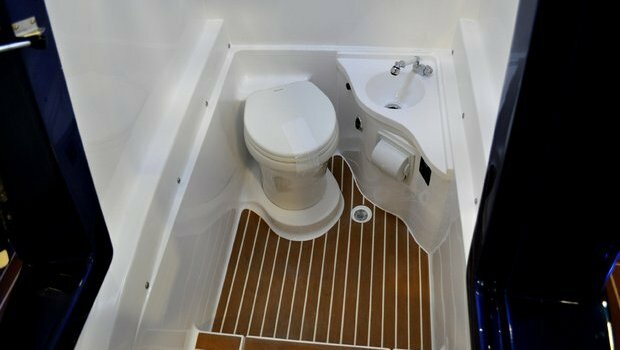 Sporting triple Mercury 300 Verados and a roomy forward cuddy, hull #1 was decked out in full luxury trim and featured a full complement of exquisitely crafted custom features. 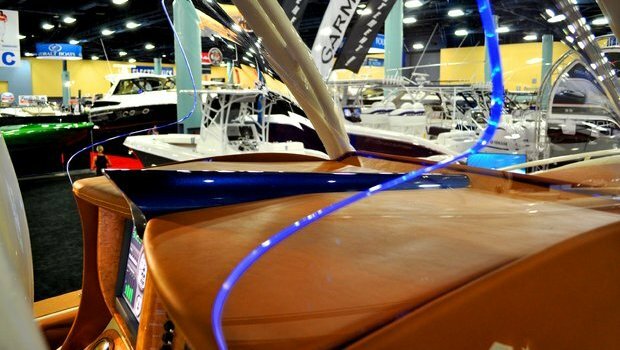 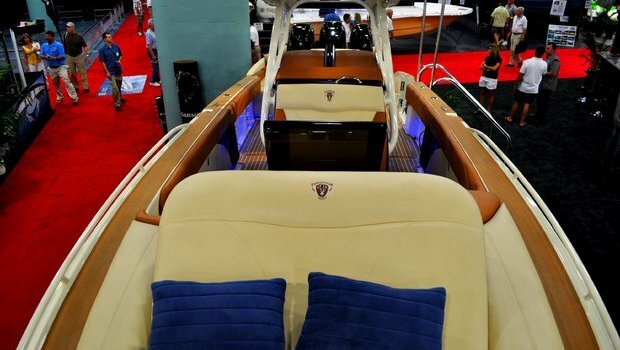 With its cream-colored gelcoat with striking metallic blue painted hullsides, teack cockpit sole, and bird's-eye maple dash accents, the 368 shone like a jewel under the convention center lights. 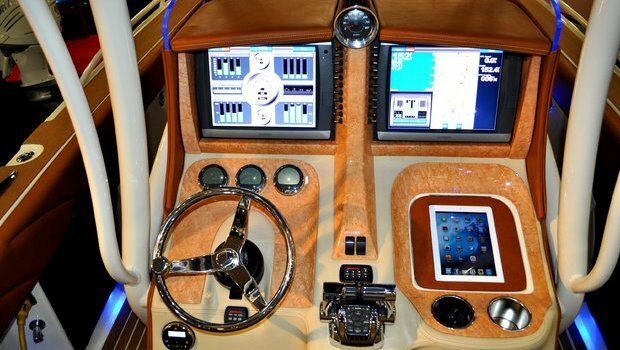 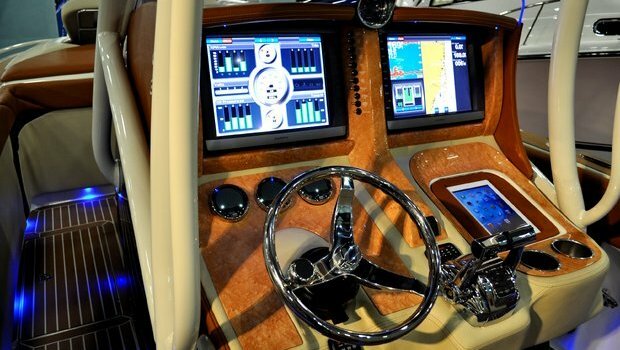 The 368's entire cockpit was upholstered in custom-contoured, wraparound upholstery, with its impressive dash dominated by twin Garmin displays as well as an integrated iPad 2. 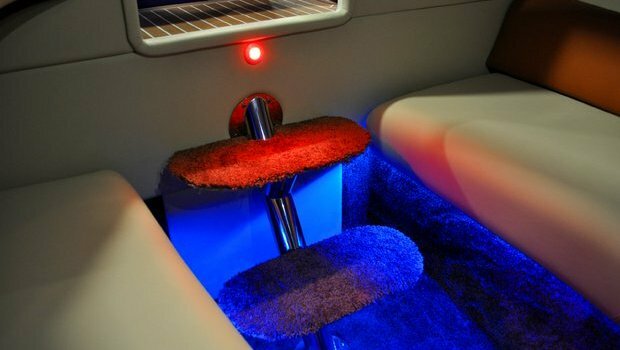 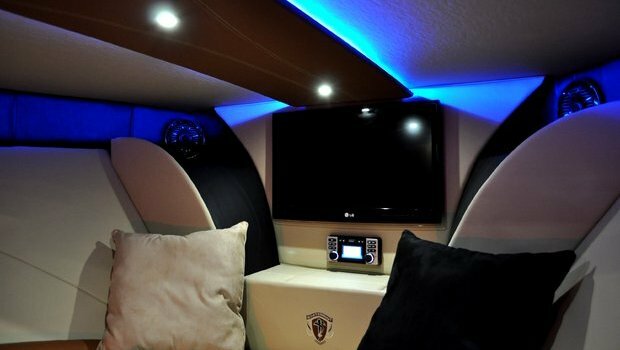 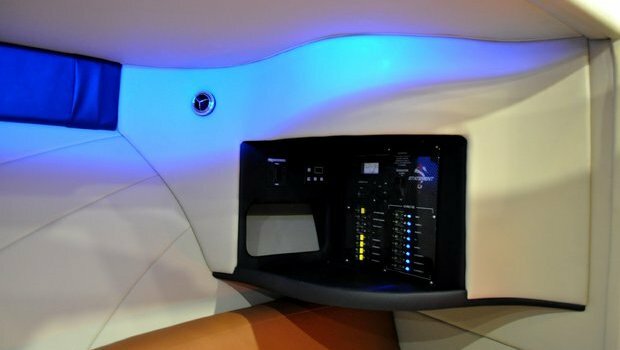 Forward, an inviting cuddy cabin featured soft-touch upholstery, an LCD TV with DVD player, and striking, indirect LED lighting recessed in the headliner. 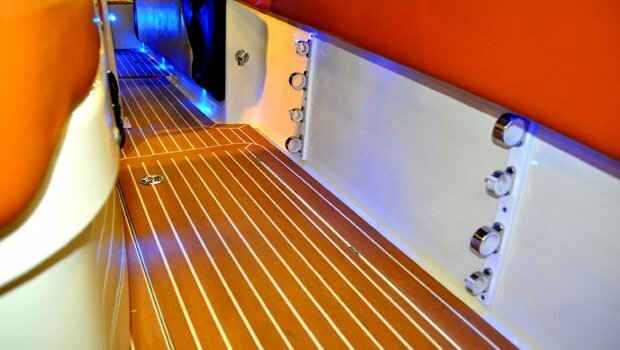 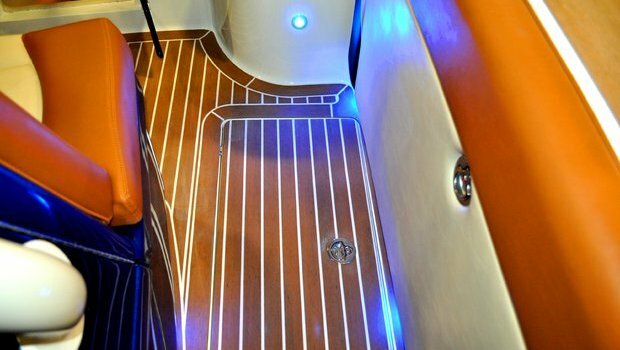 Atop the cuddy cabin on the 368's foredeck (easily accessed via teak-accented steps in the forward cockpit) was an expansive forward sun pad that raises and lowers electronically via remote control to assure comfortable lounging. 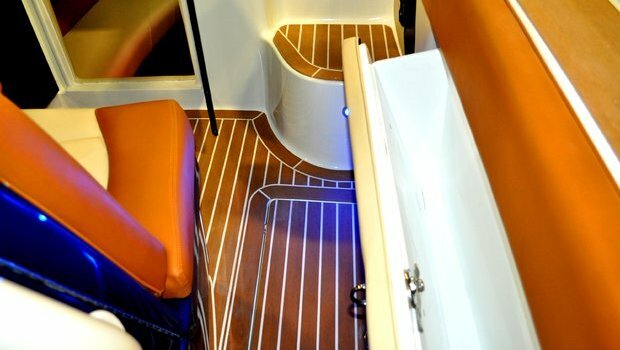 The aft cockpit featured a spacious L-seating arrangement with integrated backrest, as well as a fiberglass dive door on the port side. 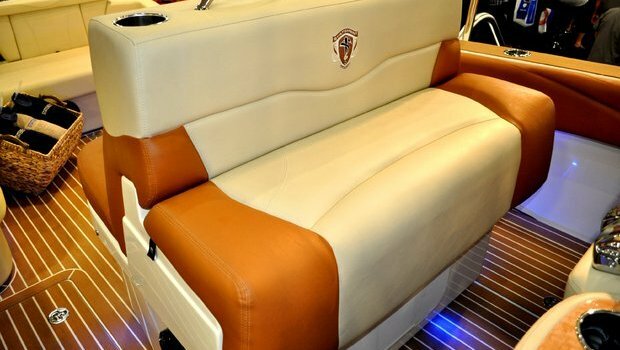 For additional photos, specifications, and other information, visit the 368 SUV Crossover page.